Wave form of one morse code "dit"
Feng shuei is the Chinese art of arranging objects in buildings, it is based on many practical ideas. One important concept of feng shuei is the rounding of sharp corners. Think of this circuit as a form of electronic audio feng shuei ;-). One may think that this is a lot of circuitry just to make simple beep tones, but the real value of the circuit is that it sounds very smooth when compared to a clicky and harsh-toned square wave code oscillator. This circuit won't hurt your ears, even with extended use. 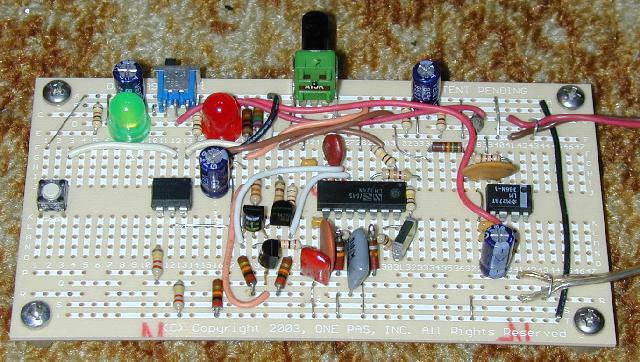 If the circuit is to be used as a transceiver sidetone generator, remove the LM386 IC and feed the signal from the volume pot into the transceiver's audio circuitry. 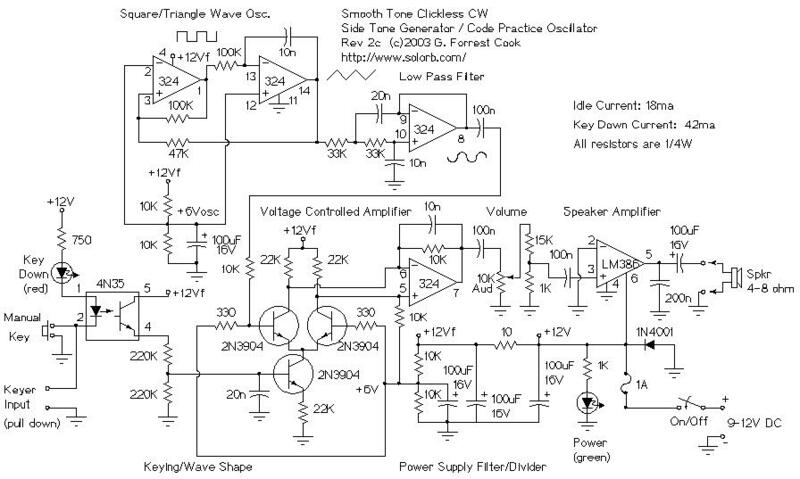 The sine wave is sent to a voltage controlled amplifier which is modulated with a keying envelope. 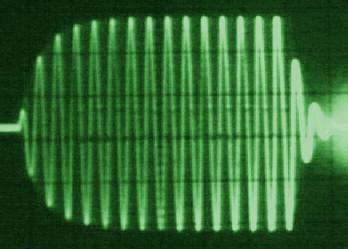 The keying envelope is generated by smoothing out the square wave keyed signal on the 4N32 emitter with the 100K/20n (.02uF) capacitor/resistor low pass filter on the base of the lower transistor. The two 10K resistors in series with the 4N32 set the envelope's upper and lower voltage to 6V and 0V. The 200n capacitor on the audio output prevents the LM386 from generating RF oscillations, which it likes to do. I originally tried using the series R-C network that is normally shown on LM386 application notes, but the LM386 would break into RF oscillations. The circuit nodes marked +12Vf are all connected together, this is the filtered +12V line. The +12V line is filtered through a 10 ohm resistor and across a 100uF capacitor, those components remove audio noise that may be present on the +12V supply. A custom printed circuit board would be the logical next step in the circuit's evolution, however I have not layed out a PC board yet.